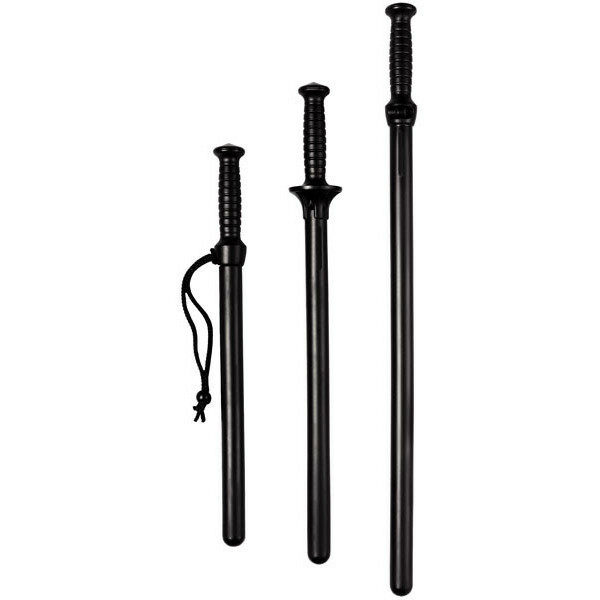 Grenade grip batons available in 17″ to 25″ lengths. Durable composite construction. Imported. Hand strap sold separately.